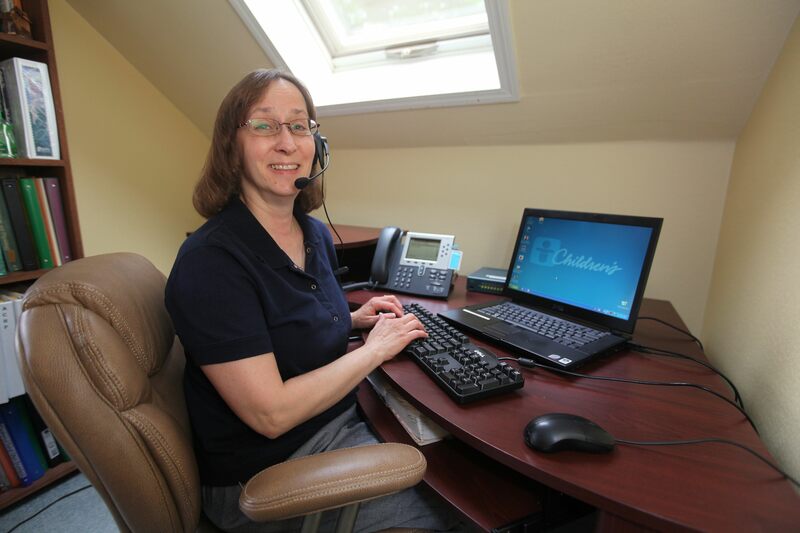 Debbie Brumfield is one of nine Ask Children's(TM) nurses who works from home. In the fall of 2009, Ask Children’s(TM) began a unique transformation. Four registered nurses began working remotely from home to help cover periods of high call volumes and staff absences. Kirtley said the program has enabled her to be more precise in scheduling and staffing, which is ultimately more cost effective. Ask Children’s(TM) nurses answer calls round-the-clock. While calls from the general public are taken on weekdays from 8 a.m. -4:30 p.m., nurses take patient calls for doctors’ offices after hours and on weekends.